Automakers have traditionally used the lease as a way of making high-end cars and trucks more accessible for consumers who could not afford the full sticker price. 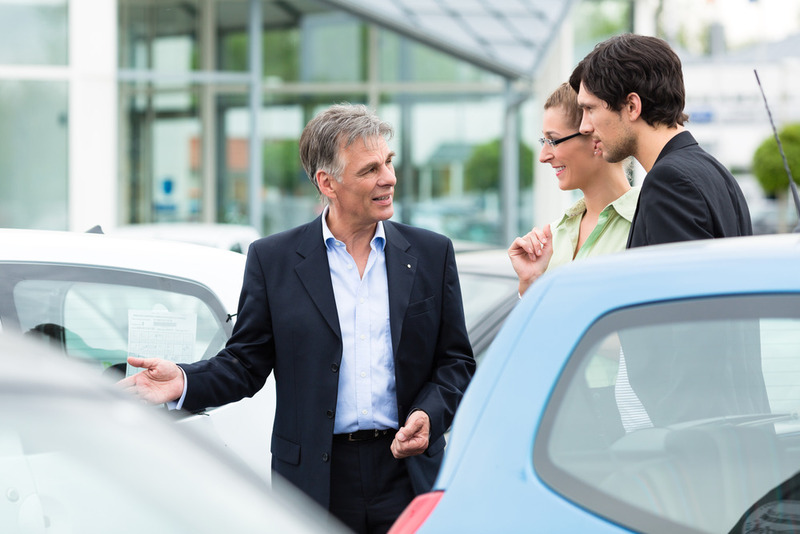 But today, with credit more available and consumer confidence increasing, automakers are extending the strategy to more moderately priced cars, which in turn is helping bring about surprisingly strong sales results. In August, automakers reported another month of double-digit increases, selling 1.5 million vehicles, a 17 percent gain over the same month last year. That puts the seasonally adjusted annual industry sales rate at a postrecession high of 16.09 million, up from 14.49 million a year ago. It is a promising sign for the industry, which has steadily increased production throughout the year to meet rising demand. “Attractive low lease payments have proven very effective at getting new-car buyers back into the market,” said Jessica Caldwell, a senior analyst at the industry researcher Edmunds.com. In 2013, leasing has accounted for 26 percent of new-vehicle purchases, according to Edmunds.com. In the years before the recession, leasing accounted for 16 percent to 20 percent, with activity focused on high-end cars and trucks. General Motors, the nation’s largest automaker, has reaped the rewards. On Wednesday it said that its August sales rose 14.7 percent, its strongest month since September 2008. Ford Motor Company, which has taken a more conservative approach on leasing, posted a rise of 12 percent, and the Chrysler Group, 11.5 percent. For all three companies, the increases were led by a mix of small and midsize cars and trucks. Auto dealers also point to the revival in leasing, which slowed in the recession as G.M. and Chrysler worked through bankruptcy, as a factor. “Leasing has made an amazing recovery,” said Kirt Frye, president of Sunnyside Automotive Group in Middleburg Heights, Ohio. Higher residual values, thanks to a robust used car market, and record low interest rates mean lower monthly payments for buyers with good credit. The average monthly lease payment was $408, down from $416 last year, according to Experian Automotive, which analyzes automotive data. At Sunnyside, leases make up one out of three vehicles sold at the dealership’s Chevrolet, Toyota, Honda and Mitsubishi marquees, Mr. Frye said. That rate is up from one out of five vehicles sold 18 months ago. The dealership’s luxury Audi brand continues to sell about 60 percent of its vehicles through leases, which is in line with the high-end automaker’s usual business. But the real growth in leasing has come from the $199 monthly payments offered regionally this summer on the Chevrolet Malibu, Honda Accord and Toyota Camry midsize sedans, Mr. Frye said. “I think that with the $199 price point, people say, ‘Yeah, I see the value there,’ ” Mr. Frye said. The strategy appears to be working. In the highly competitive market for midsize sedans, Toyota sold 44,713 Camrys last month, a year-over-year increase of 21.8 percent. Honda Accord sales rose 10.8 percent, to 38,559 vehicles. The Chevrolet Malibu trailed larger competitors, selling 16,890 vehicles, but increased monthly sales 16.5 percent. All four of G.M.’s brands showed double-digit sales increases in August. Cadillac posted the largest growth, with sales rising 38 percent; it was the best monthly showing for the brand since 1989. Buick’s sales jumped 37 percent, the strongest results in a decade. Sales of the automaker’s GMC brand jumped 14 percent, and its Chevrolet brand rose 10 percent. “Our transformed lineup of cars, trucks and crossovers is performing very, very well,” said Kurt McNeil, G.M.’s vice president of United States sales operations. Ford reported its best month for retail sales since August 2006. The midsize Fusion had good gains after Ford increased production at its Flat Rock assembly plant. Sales of its small cars, like the Fiesta subcompact and C-Max, rose 30 percent, while sales of the F-Series increased 22 percent.